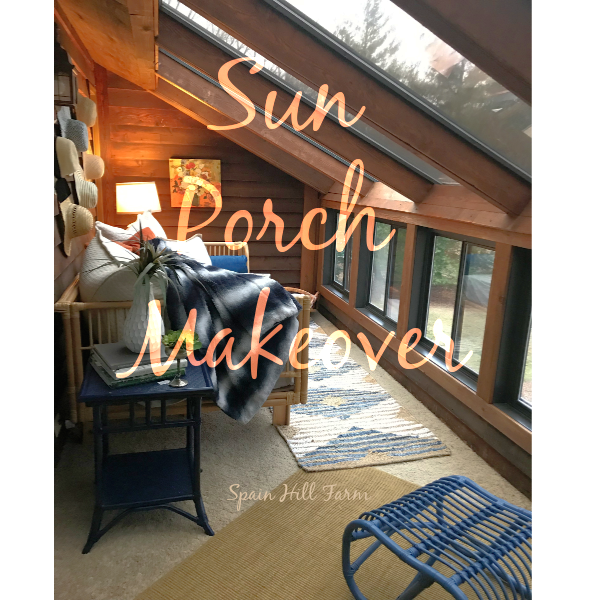 Remember this sun porch from our "new" house tour? 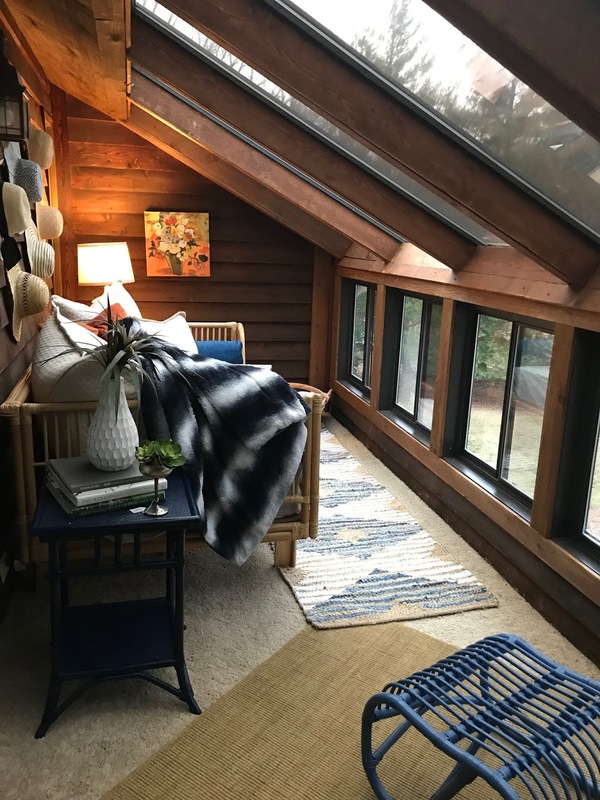 It's a small room off the master bedroom and the view makes one feel like you're in a tree house. 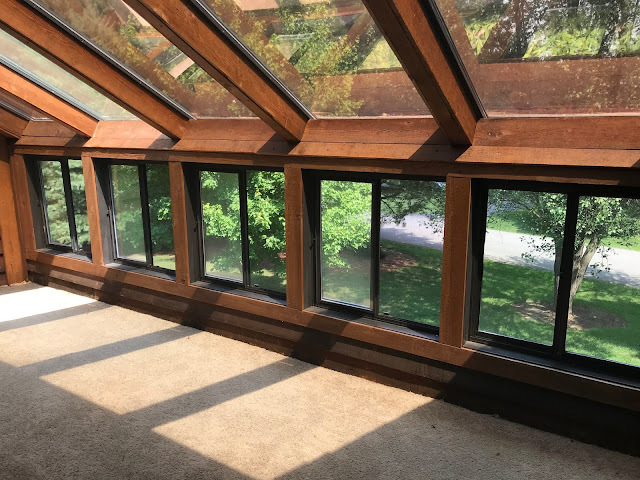 The first thing I had done was to hire a local window washing company to wash ALL the windows and skylights (there are 7..SEVEN in this house!) It was actually more reasonable that I was expecting but I will say it may only be a once every year or two splurge. The carpet is fairly new so I didn't have to replace the flooring in this area. So I began with selecting a few furniture pieces...mainly, this amazing daybed from World Market and the blue rattan chair and ottoman from Wayfair. Isn't it cool!?! 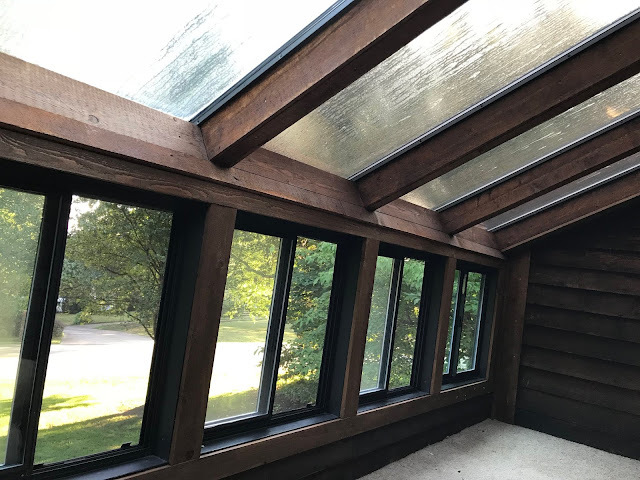 With the cedar siding exterior in this space, I felt a boho feel fit best with the wood. And, my two favorite colors, blue and orange go right along with the boho look. 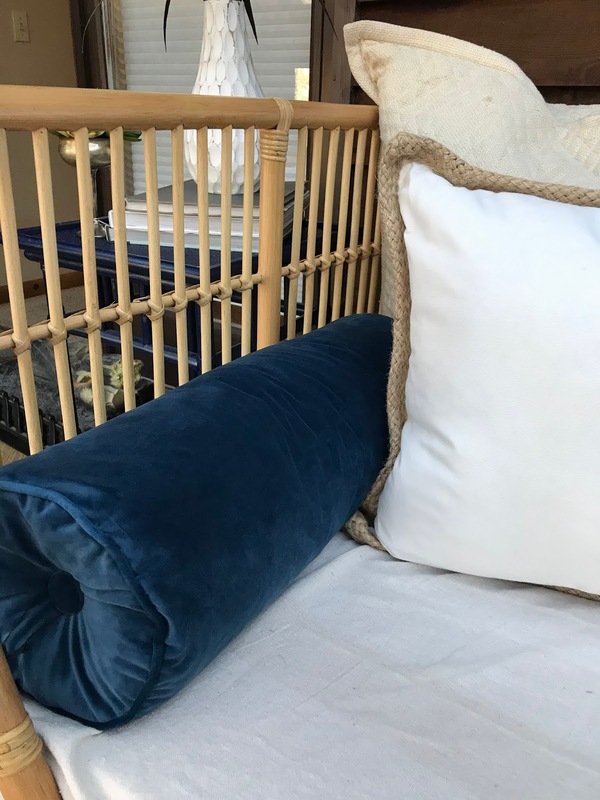 I found these beautiful blue velvet bolster pillows at Walmart. They were about $16 each and look like ones that cost much more. The other pillows I snagged from around the house. After the furniture and bedding were done, I just had to finish it off with the wall decor. One inexpensive way to fill a large space is to do a gallery wall. 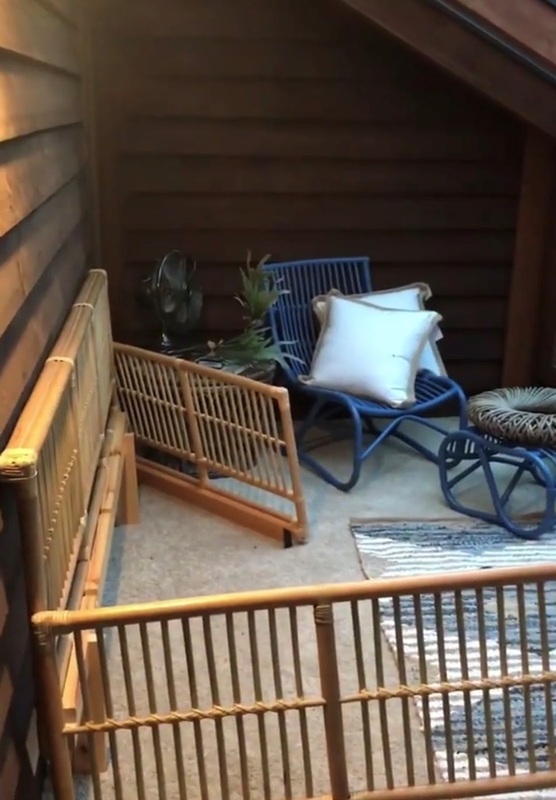 The wall behind the daybed is a filled with straw hats I purchased at thrift store. They make a big impact for about $20 total. The side tables were purchased at a yard sale years ago and the rugs are from a local discount store that sells overstock merchandise from Target and Amazon. Lots of great deals but you have to visit often before they're sold out. So that's a wrap. Now, I'm off to grab a mug of coffee and my favorite book. You know where to find me if you need me! Pin it so you don't forget it!